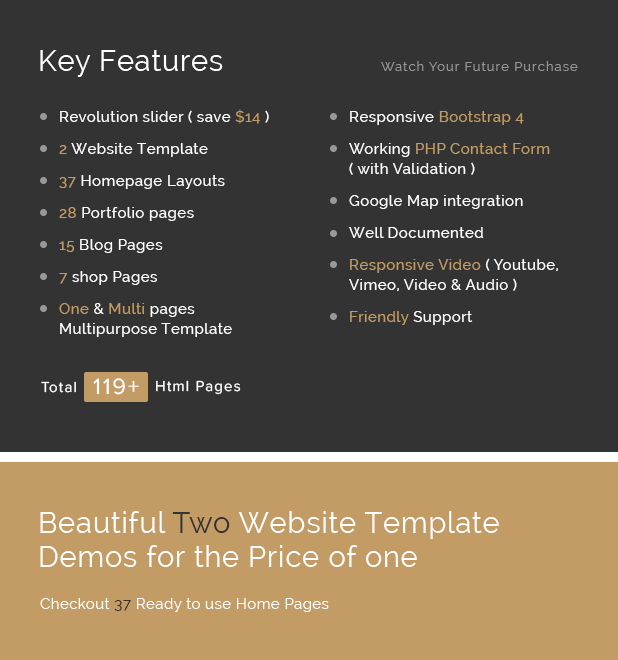 Mazel – is clean One & Multi Page Multipurpose, Responsive HTML5 Template. It including 119+ Html Pages and easy to use template. You can use it for Business, Photo Studio (Photography), Portfolio, Personal, Freelancers, Agency, Blog, Corporate, Blog, Ecommerce, etc. Mazel has 2 Website Template Demos, 16 multiprupose Home Layout and 22 one-page Layout, 28 portfolio Page, 15 blogs page, 7 Shop page, 7 Elements page and 20 Extra page, working AJAX & PHP contact form.